If you are looking for VAT accounting software for Your Business, here is a Complete Solution to help you to choose the right one. As VAT has been implemented all over UAE, your business needs to go through a detailed bookkeeping process, and it will consume more human efforts and will end up stagnating your business and make many losses on your side. Therefore, it would be better to choose a VAT accounting software for your business. Chipco Solutions provide tailored VAT accounting software and you can process all the requirements that VAT might impose With a VAT-enabled accounting software in Dubai, UAE. Our VAT accounting Software will create VAT invoices for sales and purchase also generate financial reports and VAT reports. You can generate VAT reports at any time as you wish, you won’t need to capture any data separately or have to export data to another software for filing. Why business need VAT Software in Dubai, UAE? 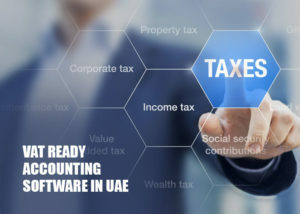 There are many software’s for VAT processing available in UAE, but it really becomes complicated when it comes to choosing the best from them. The VAT has been implemented in UAE mainly to reduce the country’s dependency on oil resources for revenue. Also in UAE, the government recently launched an online portal to process the VAT, so it’s really good to have a VAT software that directly communicates with the UAE government VAT portal. As there are many VAT software providers in UAE, it becomes more complex to choose the best from them. Ideally, Chipco Solutions VAT software provides a complete solution for your end-to-end accounting needs. The integration with existing platforms as well as the smart error alerts really make generating VAT compliant invoices and filing returns very straightforward.